Discover the region with speed and style, exploring Rajasthan by charter flight. The sheer size of India can make connecting the dots difficult. 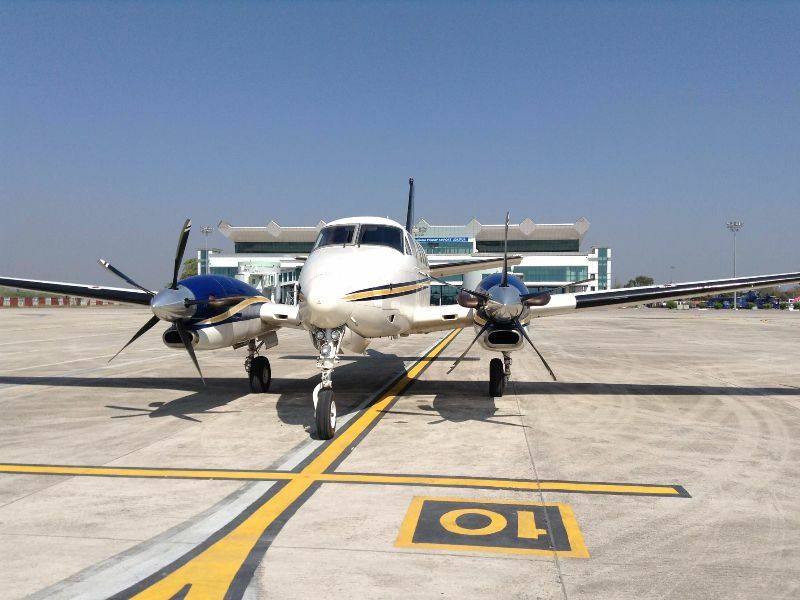 Flights from regional airports typically only fly directly to Delhi and Mumbai, which translates into connecting flights and/or retracing your steps back to the capital in order to get to your next destination. In other cases, certain journeys are drive-able but longer than some may feel comfortable with: for example, Delhi to Ranthambhore (eight hours), Jaipur to Udaipur (seven hours), or Udaipur to Jodhpur (six hours). Imagine if you could link almost any destination of your choosing directly, eliminating those long journeys and affording you more time to enjoy your accommodation or soak up the sights? 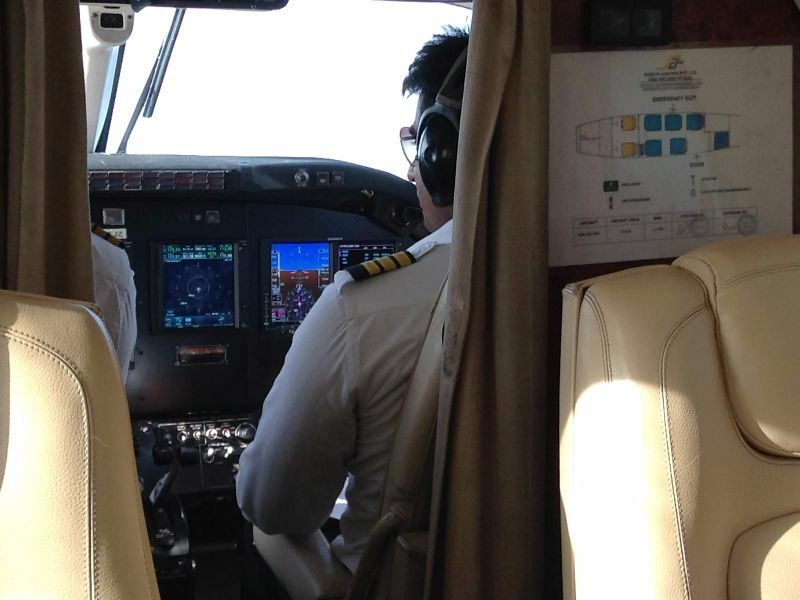 Through charter flights with Indian Excursions, you can. My flight was scheduled to depart from Delhi at 8am. Travelling privately, I was informed to arrive at the airport only half an hour beforehand, at 7:30am. This already shaved a significant amount of time off my total journey, as for commercial domestic flights it’s recommended to arrive an hour and a half before take-off. Upon arriving at Delhi’s domestic terminal (Terminal 1D), I was met outside the doors by Mr. Rahul, who’d be guiding me through the airport and to my private plane. We quickly strode through the VIP entrance into a private lounge, offering comfortable seating and a range of complimentary beverages. We didn’t stop in the lounge however and headed straight through to Security. 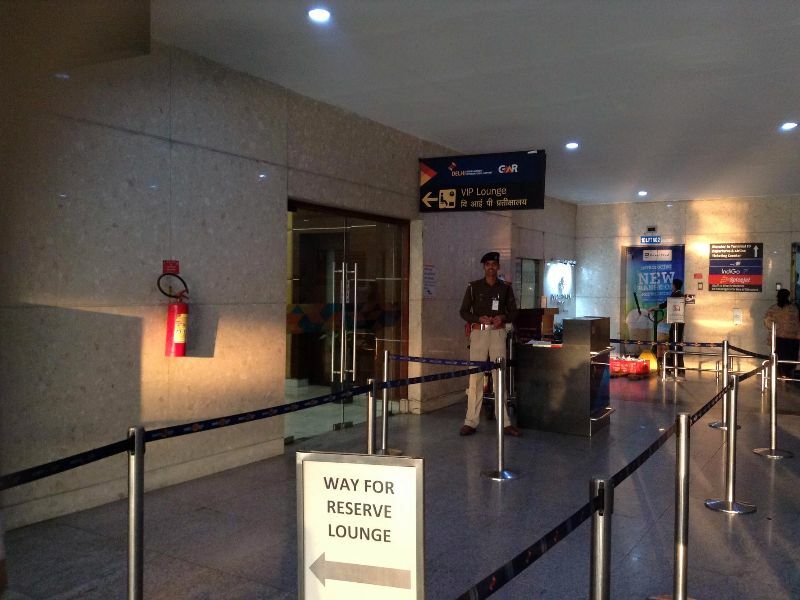 Rather than using the normal Security area, we were ushered through the VIP Security area, also used by pilots and cabin crew. After clearing security, we walked through the terminal to the door, where a BMW was waiting to transport us to our aircraft – the King Air C90. Upon reaching the aircraft, Captain Nanda was waiting to greet me. We have a range of aircrafts to choose from when flying privately through Rajasthan and north India, including a Cessna Citation Cj2+. The King Air C90 is a twin-engine turboprop, seating two pilots and up to five passengers. Our flight duration from Delhi to Udaipur was an hour and 45 minutes. 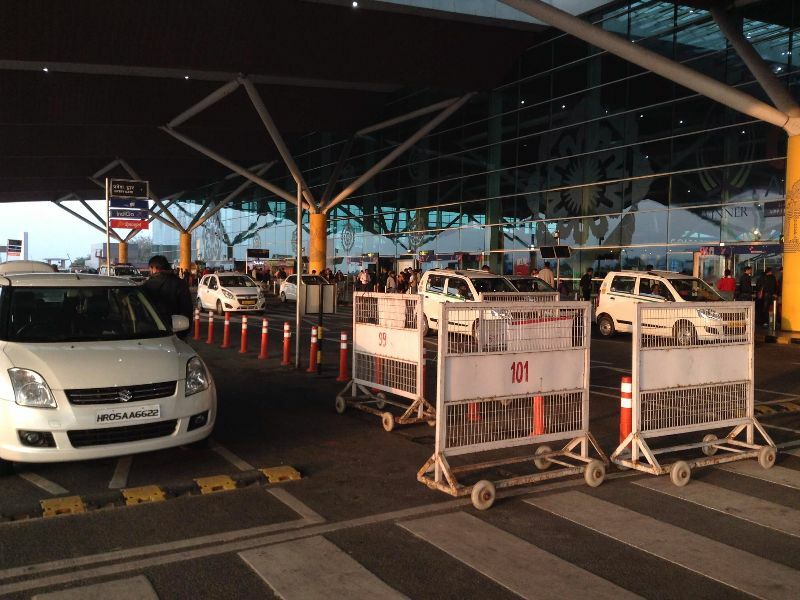 Upon landing in Udaipur, a vehicle was waiting to transport us over to the terminal, with our luggage. 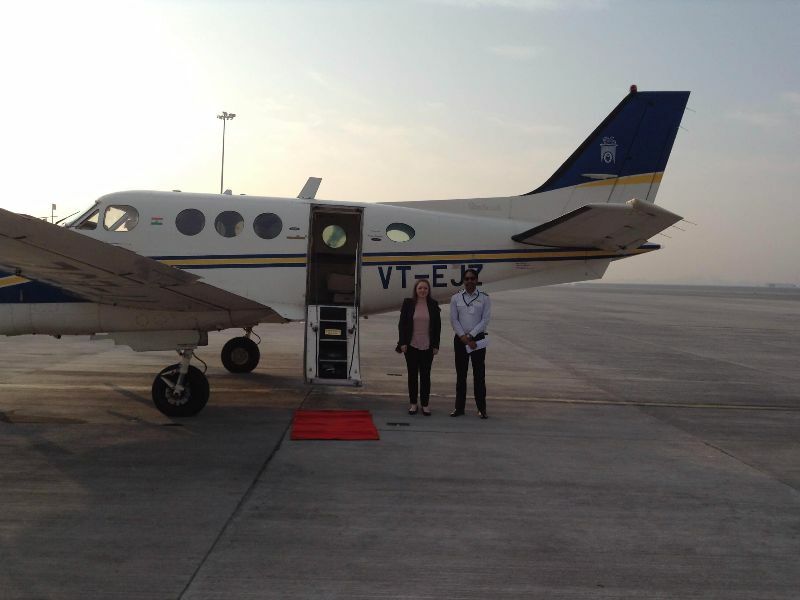 Travelling by private plane opens endless possibilities for you when putting together a luxury Rajasthan tour. 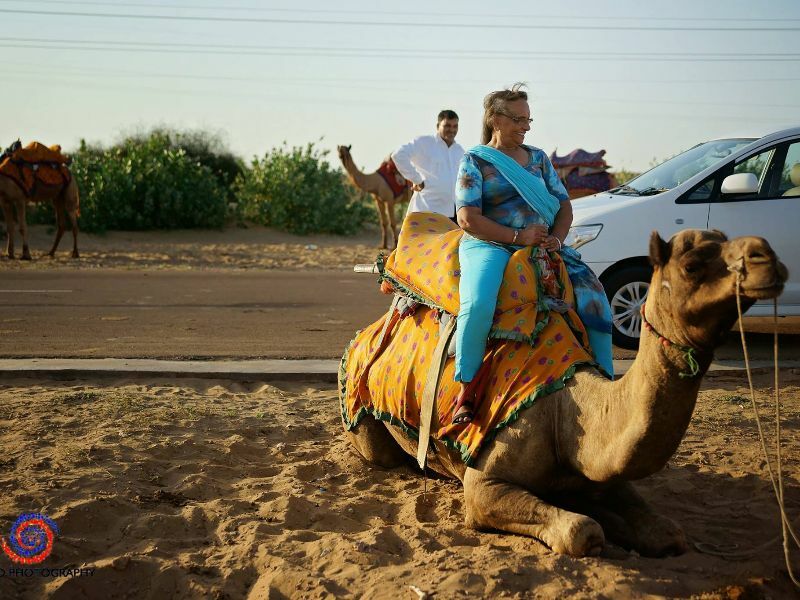 For example, from the desert city of Jaisalmer, one would normally need to drive back to Jodhpur (five hours) and fly to Delhi (an hour, though longer when taking into account time spent checking in and waiting to board etc. ), as there are currently no commercial flights operating from Jaisalmer airport. 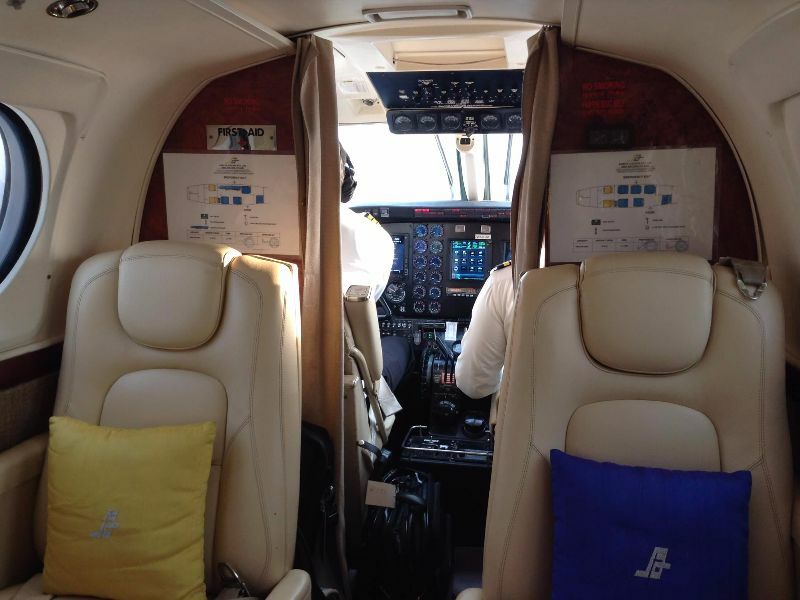 With a charter flight, you can comfortably get back to Delhi in a jiffy. Or, head over to Varanasi – this journey, Jaisalmer to Varanasi, would otherwise not be feasible without overnight stops, but with a charter flight you’d be there in just an hour or two. 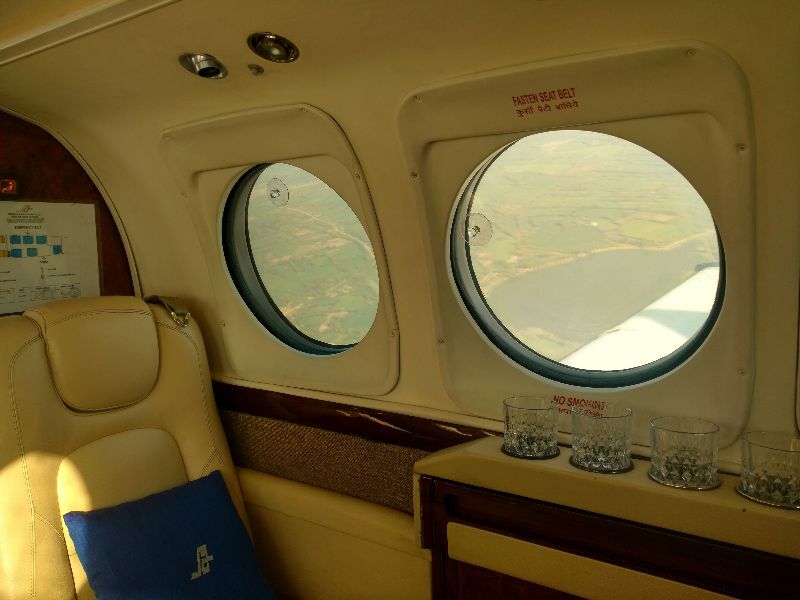 You can explore Rajasthan by charter flight throughout your itinerary, for example, from Delhi – Agra – Ranthambhore – Jaipur – Jodhpur – Udaipur (a popular route with our guests which you may like to check out by clicking here). 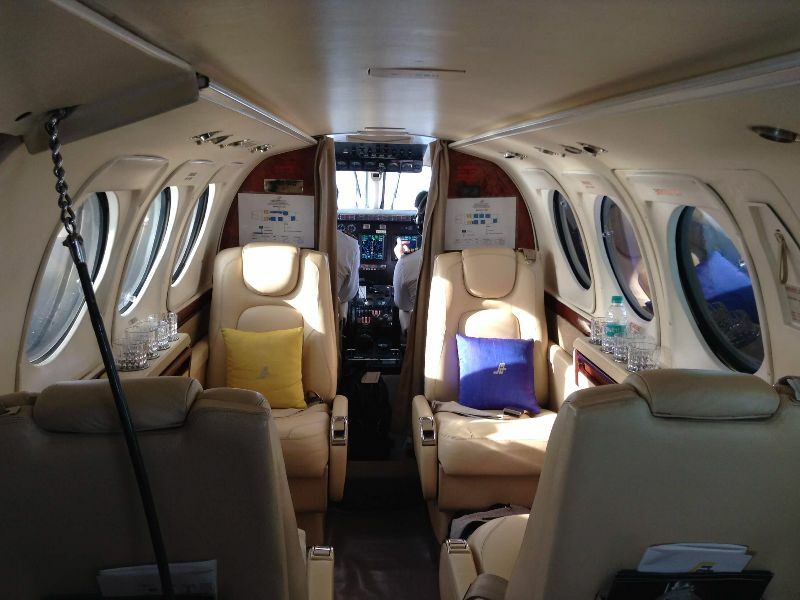 Or, you may prefer to include a charter flight only where the drive is five hours or more and a commercial flight is unavailable, for example from Jaipur to Jodhpur and Jodhpur to Udaipur. 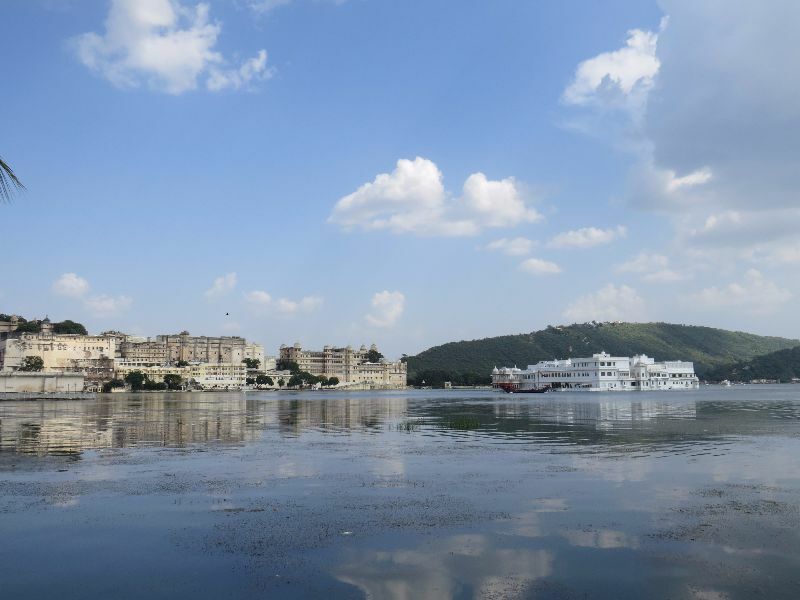 From Udaipur, you can fly back commercially in economy or business class to Delhi. Just like there are endless destinations, hotels and experiences to choose from when planning a visit to India, indeed there are lots of different transportation options, too. If you’d like to begin planning your luxury tour to Rajasthan by charter flight or any other means of transportation, do get in touch. All our tours are private and completely tailor-made to suit our guest’s individual tastes, budget and schedule.